A very eye-catching headcollar made of smooth and shiny material. It is softly lined on the noseband and occiput, which prevents chafing. 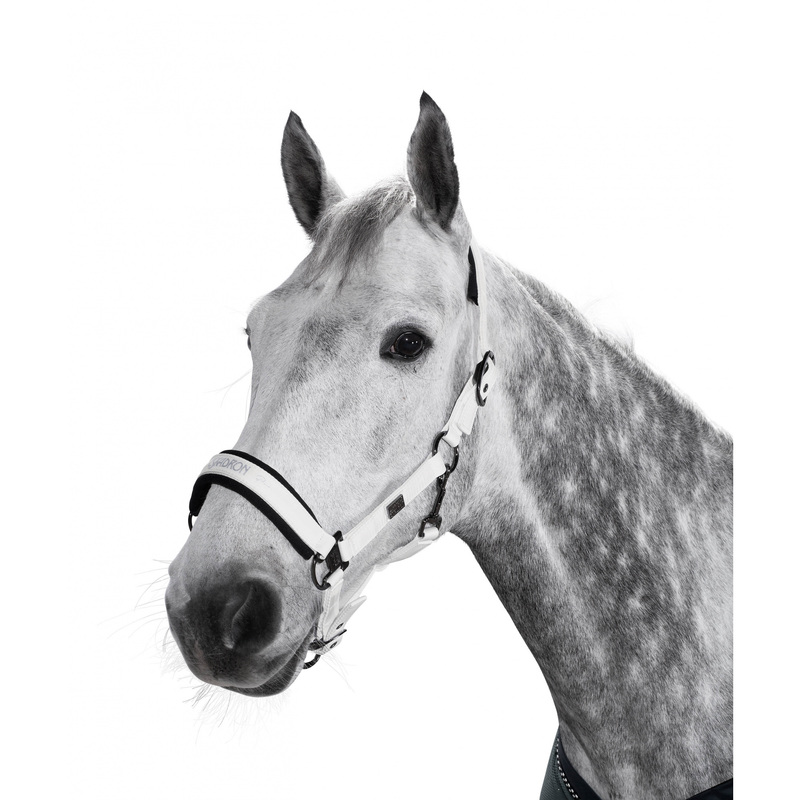 This headcollar is elegant and diligently trimmed with pewter fitting. Adjustable in two points. 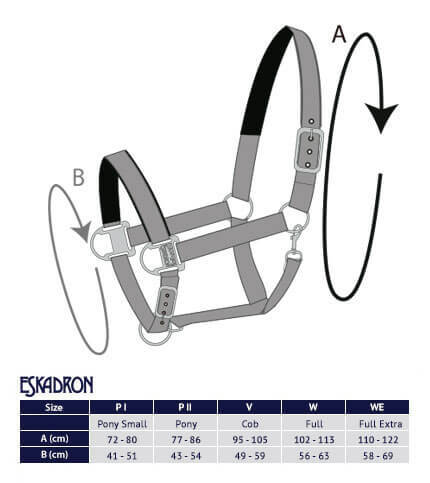 It is decorated with Eskadron inscription on the noseband and a silicone logo patch.